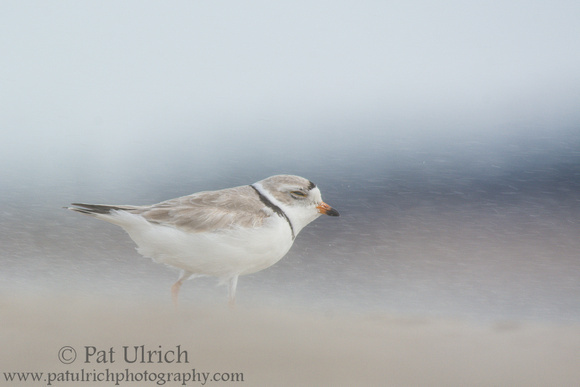 I had only a handful of chances to get outside with my camera this year, but thankfully they were pretty productive. 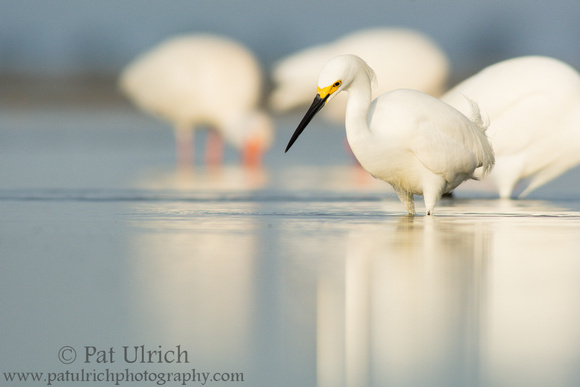 This snowy egret is from a March morning spent at Bunche Beach Preserve in Fort Myers, Florida. 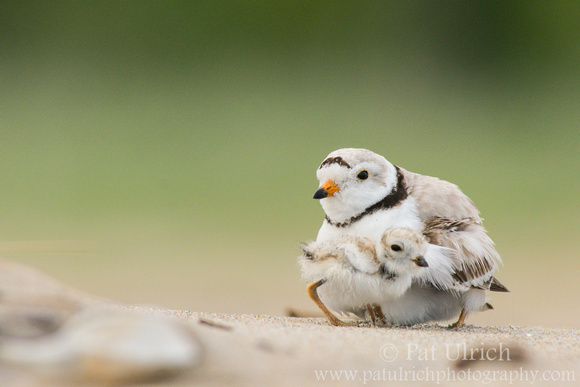 It really was almost too easy to get close to the birds there. 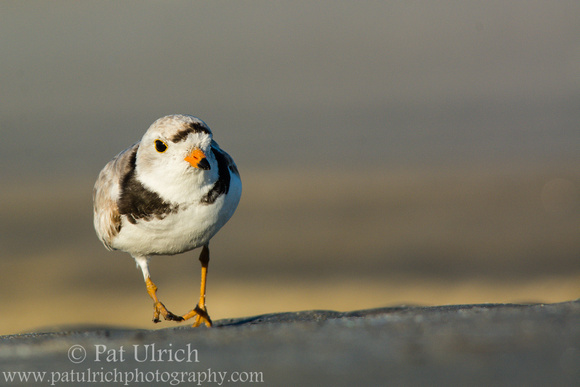 I would just lie down on the mudflats next to a tidal pool and it wouldn't take long for the birds to start filling it in. The reflections in the slowly rising tide were really fun to play with too. 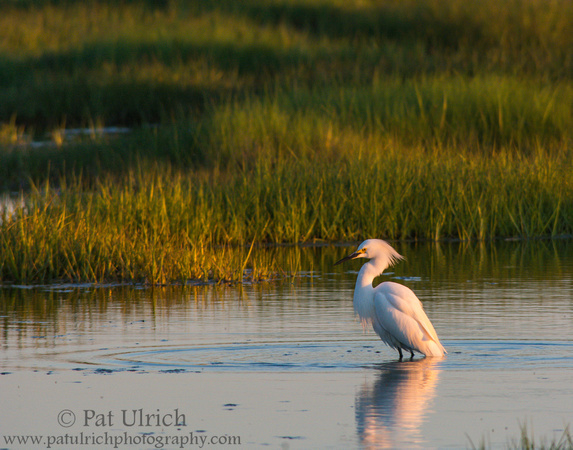 View more photographs of egrets. The reflections were really fun to work with as the tide was rising in these quiescent tidal pools at Bunche Beach Preserve in Florida. By elevating the camera a little above the water it was possible to capture reflections of an entire bird. 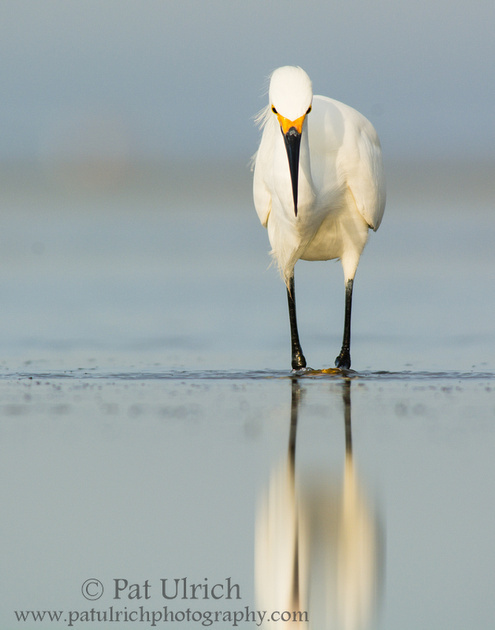 When I dropped my lens down to essentially resting on the ground, the reflections became wondrously elongated -- as shown here with this snowy egret in front of a backdrop of white ibises. 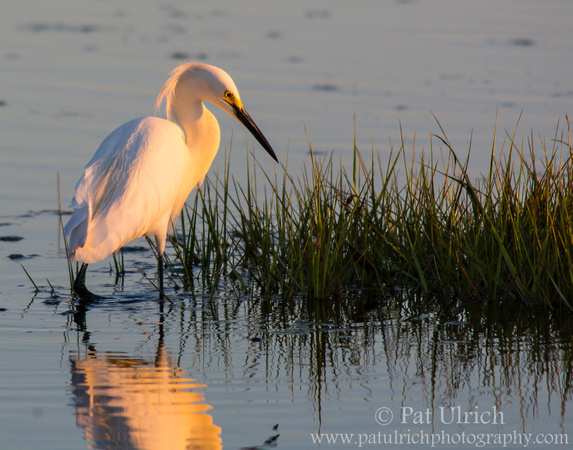 Browse more of my photographs of egrets and herons. 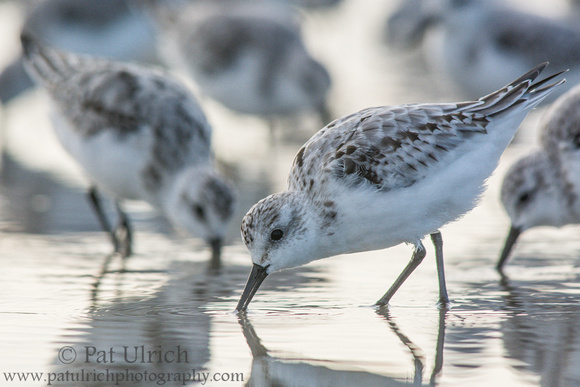 As I commented in my previous post, it was really incredible to see how many different types of prey the wading birds were able to pull from the tidal pools. 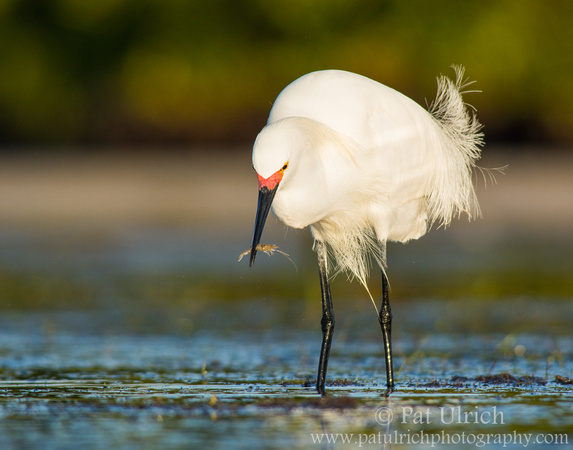 This snowy egret pulled out a good sized shrimp, then swallowed it whole. 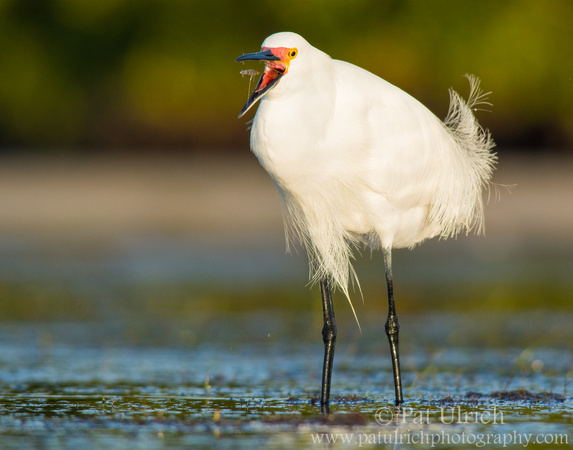 View more of my photographs of herons and egrets.